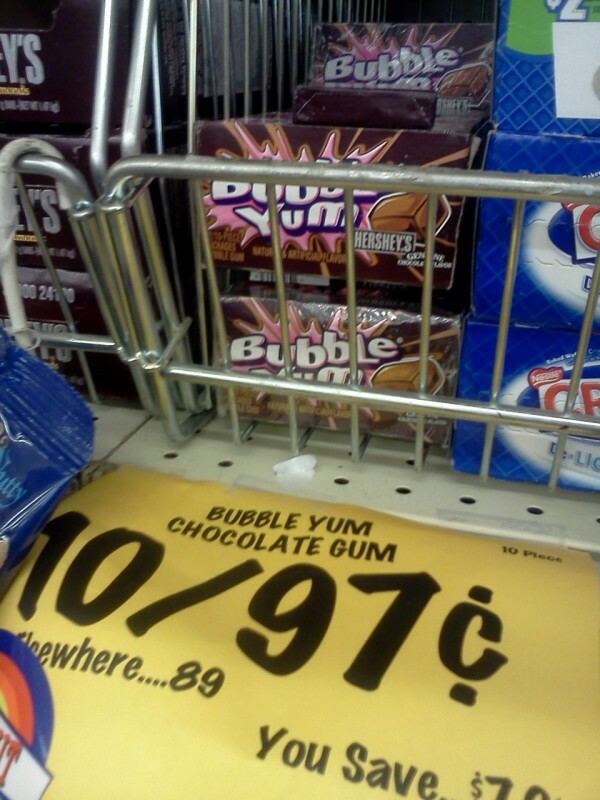 At first thought, combining chocolate and chewing gum seems like a brilliant idea. 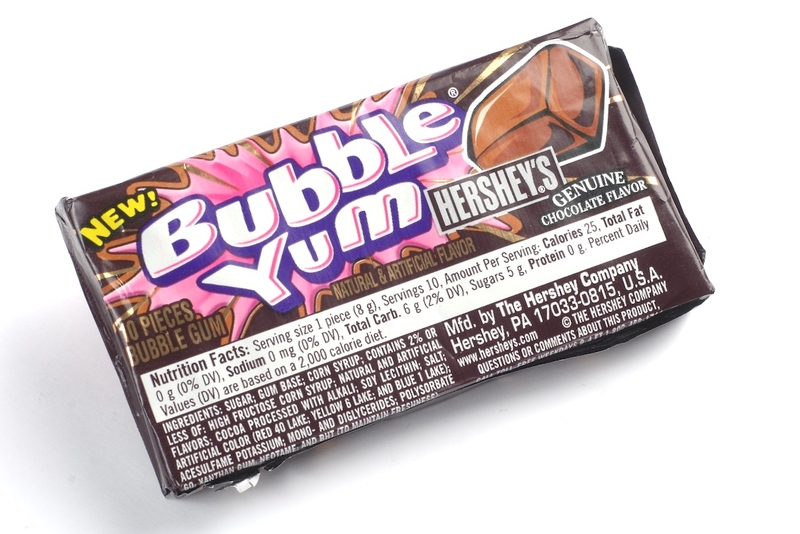 The long-lasting gum base plus the cocoa flavor (with none of the extra calories/guilt that come with eating a regular chocolate bar), how can you lose? 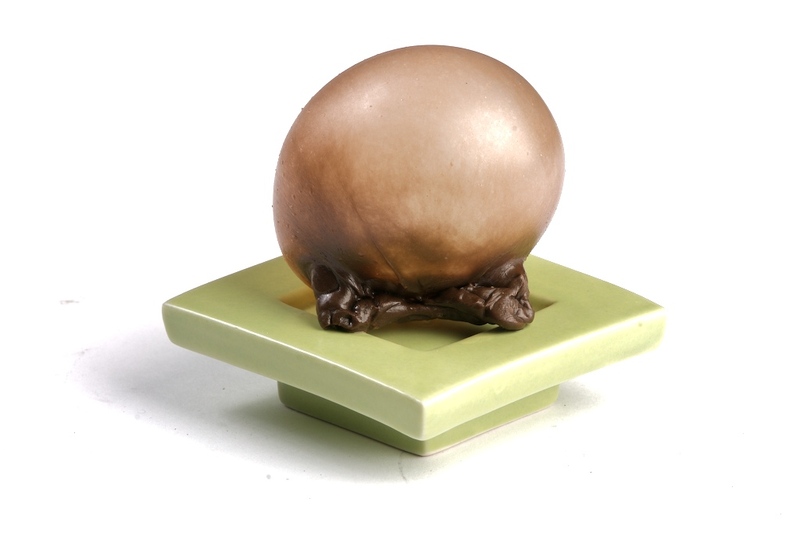 You start your journey just breaking up the brown polymer clay-like cube in your mouth. I’m accustomed to the little pieces of sugar-free Orbits, Tridents, Eclipses of the world, most commonly used for breath freshening, so this was a much different gum experience. 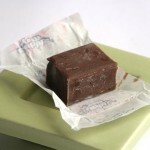 I admit I’m kind of a gum addict – when I’m not eating something, I’m usually chomping on a piece of gum. Thankfully, I haven’t stuck any behind my ear for safekeeping a la Violet Beauregard, but I’m currently working on my blueberry transformation. I think my record is between 10-12 hours for one piece (though 8 of that may have been sleeping). 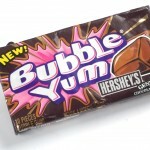 The flavor reminds me a lot of a brown, er…chocolate flavored Tootsie Roll Pop (as also mentioned in another review). 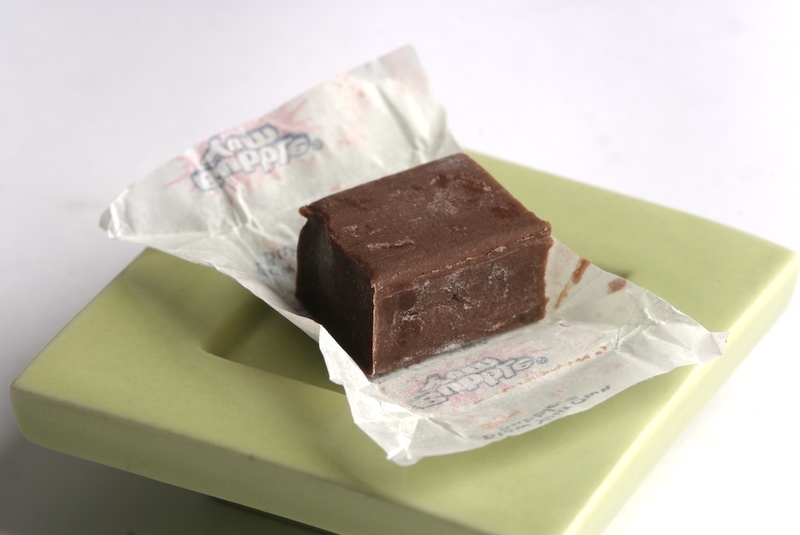 It’s enough flavor to get that ~chocolate essence~ but not enough to actually feel like you’re eating legit chocolate. 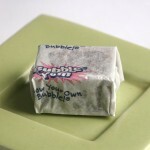 The resulting gum portion was quite rubbery and snappy (as Bubble Yum is). When I took it out of my mouth and rolled it into a ball, I feel like I could have used it as a brown little bouncy ball. 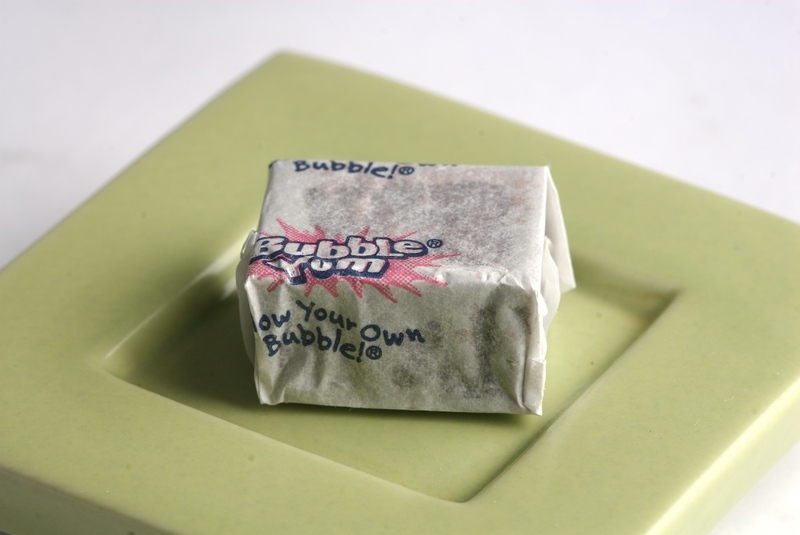 If you want to blow any sort of bubbles, you’re gonna have to eat a whole pieces, instead of the half-piece I bit off for sampling. 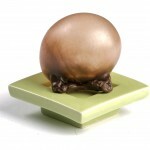 Even then, is a brown gum bubble really that appealing (see photo below, the resulting bubble carefully placed on a dish as if it were an art piece). I’m getting a total Rover vibe from the bubble (any fans of The Prisoner here? ), only instead of emerging from the sea, he emerges from a sewage treatment plant. I’d make a joke about Number 2, but that’d be too easy. 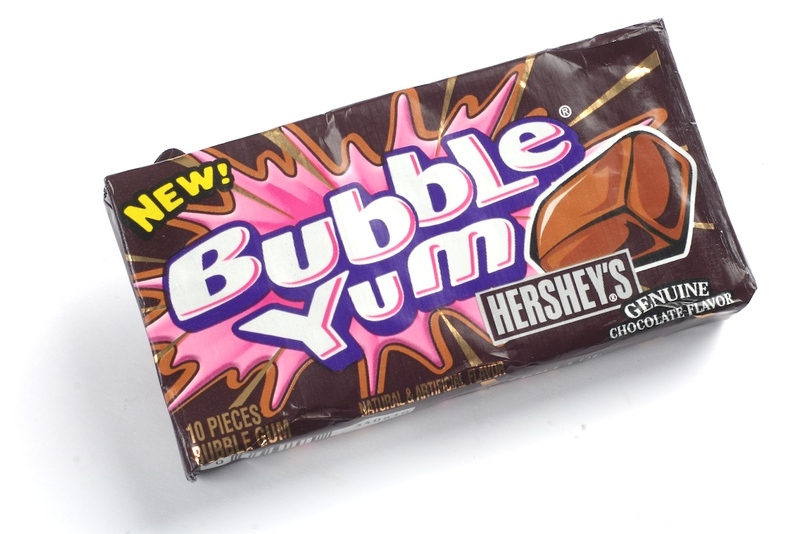 Final thoughts: it’s a decent product – I admit I ate two more pieces following the initial review, but that was more to feed my terrible gum addiction than actually craving the product. 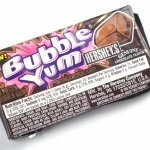 Buy Bubble Yum Chocolate on Amazon! 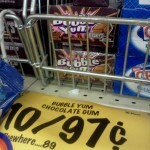 This entry was posted on Monday, January 24th, 2011 at 6:00 am	and is filed under Food. You can follow any comments to this entry through the RSS 2.0 feed. Both comments and pings are currently closed.